The Growing Panes sampler scarf is designed to teach a variety of basic stitches. It’s simple and enjoyable to knit, and the pattern allows you to choose from a range of fibers and weights. 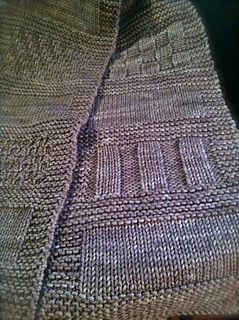 As in many of my patterns, the knitter can assert a certain amount of creativity and originality into the pattern. This is a wonderful project for new knitters who have mastered the knit stitch and want to explore other stitches.